Fratello’s (see: http://www.fratellos.co.uk/ ) is an independent Italian restaurant on Victoria Road, near the city centre. 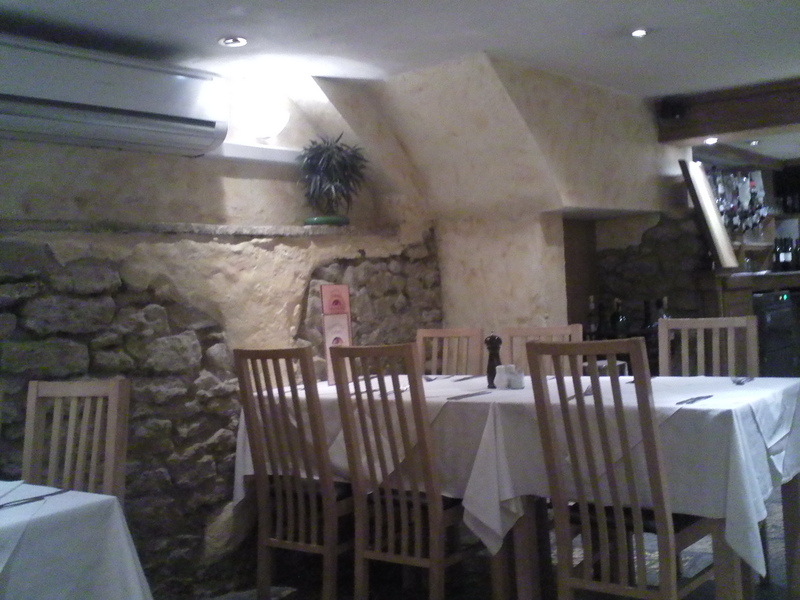 The dining area is located down a flight of stairs in a renovated cellar with an interior of exposed stone walls and stone slab floors. I had a lunch of seafood risotto. 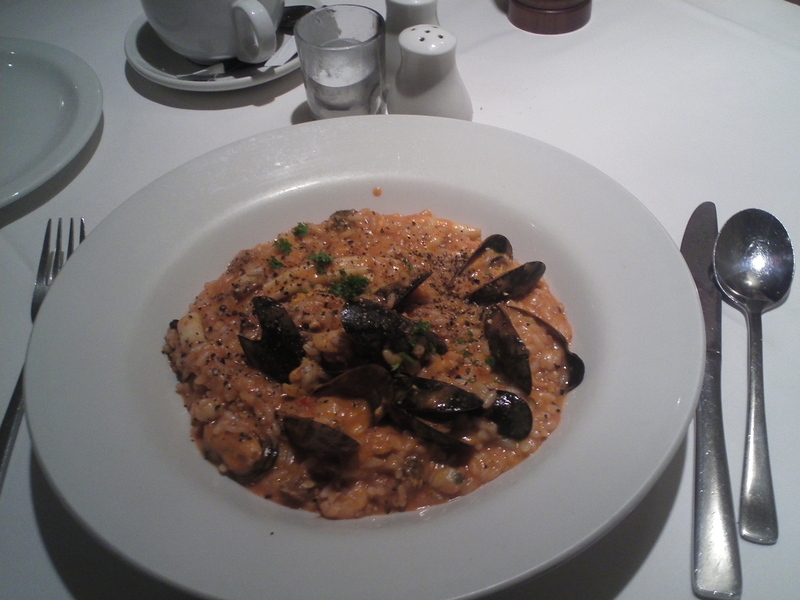 The risotto was generously portioned and carried the beautiful flavour of the shellfish stock the rice was cooked in. 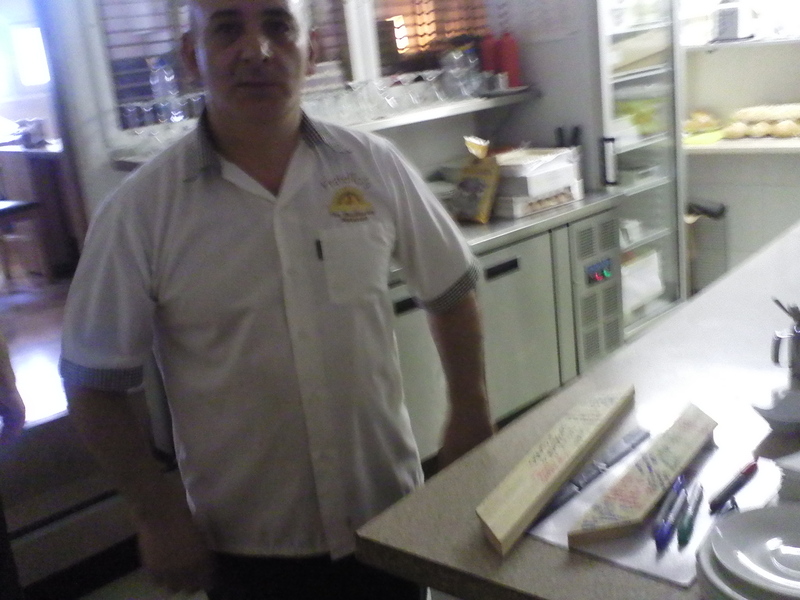 Bello Musto cooks at Fratello’s. For the project he gave me a Fratello’s feedback form (with a glowing review) and told me to go see Massimo at Rustico Restaurant.